Custom software development by Executive Order Corporation, a solutions provider of IoT (Internet of Things), customizes database driven websites and smart client desktop solutions for your business. The professional developers build applications for Web, Desktop, AI-IoTBPM, IoT Mobile and other mobile devices. Our software development services team develops applications for the seamless connection and integration between popular networks, devices, platforms, and the internet. Executive Order Custom Applications — Our consultants help our customers achieve their strategic information technology goals. Whether your needs are a large enterprise-wide solution or simply some additional resources to work with your team; we can assist you with custom IoT software, custom database design applications, custom web software development, custom web application development, and professional software design consulting for your business. Executive Order Professional Services — We are a complete enterprise software development solution for your business. By providing a full spectrum of consulting, training and support services, we assist our customers with the development, integration, deployment, and management of their enterprise systems. Executive Order Custom DROOLS (BRMS) Development — Executive Order builds complex systems for automated network management, business rules, business process management, natural language understanding, ontology, real-time planning, and visualization. We provide Artificial Intelligence (AI), Business Rule Management Systems (BRMS) DROOLS and Business Process Management (jBPM) research and development. Also, we offer a variety of training courses and books on these and other topics. The Executive Order Custom Software Project Approach — We implement your project using the expert skills and talents of our experienced and knowledgeable developers. In a contract arrangement, our consultants design and develop custom software for specific client projects. This can consist of designing new separate, independent application or integrating software components with an existing client application. Our custom application software development is based upon the latest technologies available and our custom business software solutions are designed to meet the exact needs of the customer. We develop custom software solutions for a wide variety of industries and applications and can build a custom business software application for you. Executive Order Corporation will create your custom Arduino application, or Android phone, tablet or other IoT device. With mobile technology becoming increasingly important in today’s world, it has become essential for every organization to invest in the mobile space. Executive Order Corp. creates mobile compatible servers as well as mobile applications for various platforms for Android phone, Android tablet, custom Arduino IoT and other devices. We provide expert development and deployment experience for your AI-IoTBPM applications. We will build cutting-edge mobile solutions that generate unprecedented value for our customers. 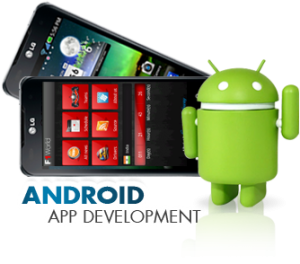 Our in-house Android app/server and application development team have the bandwidth and skills to enable us to assist clients in the shortest timelines possible. We focus on the underlying business processes and a data-driven user experience design combined with rapid, cross-platform server and client development. Our solutions are technology agnostics allowing tools to work across an ever-changing variety of platforms to provide detailed analytics and integrate seamlessly with back-end systems. Goal-Oriented Implementation — Whether you’re deploying an internal Android/server application reporting tool to your employees or releasing a consumer-facing e-Commerce purchasing portal, it’s critical to factor the intended audience in the design. Design paradigms vary across mobile platforms, and the approach you take to maximize user adoption will depend on both the category of the solution and the environment in which it is launched. With mobile internet usage projected to surpass desktop usage within the next five years, having a mobile presence for your businesses is essential -— for some companies, it’s even more essential than a website! Domain Expertise -– Many of our clients initially considered doing apps in house. All of them are happy they sourced their mobile solutions to us. We live and breathe IoT (Internet of Things) and mobile applications, and we know the ins and outs to help better your company deploy an optimal solution. Attention to the User Experience –- The user experience is critical in any mobile context. You can get everything else right, but if your mobile app is slow or even slightly annoying, attrition will skyrocket, and your brand will suffer. We have an expert UI team and performance-oriented developers who put the user experience first. Speed of Development –- We only bring on the best most motivated developers. We also have a huge amount of IP that we can leverage for commonly used components in order to expedite development and ensure performance consistency. 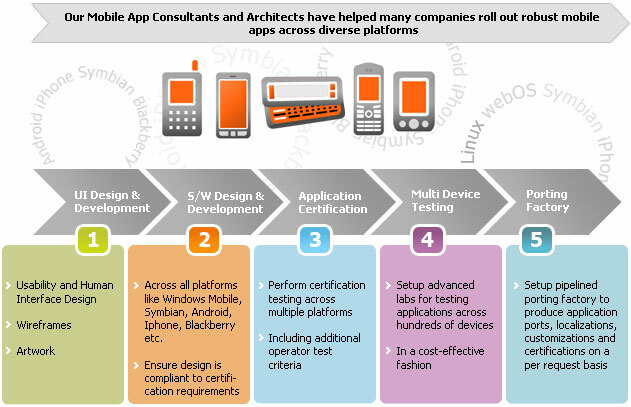 Implementing a new mobile application initiative requires a deep understanding of the platforms, devices, and user experiences that are unique to the mobile environment. It’s a new ball game. You wouldn’t roll out a new company-wide software solution without consulting IT experts. Similarly, you wouldn’t make a foray into print media without a specialized print design firm. If you are looking to enhance existing applications and take them mobile or want a new solution developed and deployed, let us know. Please don’t hesitate to contact us should you need additional information.